In today's high-paced business environment, you can't afford to take days away from work to learn a new system. HydraNet's CRM-gx training is focused, effective, and succinct. 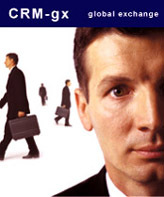 CRM-gx has a built-in help system as well as training videos to answer most common questions. Unlike many help platforms which focus on functions, our help module focuses on providing real solutions for your business. Attendance is limited so reserve your place today! For more information, click here. HydraNet offers custom and onsite training programs to help your company maximize your investment in CRM-gx. Contact us here for more information on these programs.